With an increasing number of household devices requiring an internet connection, it's only natural to want the best router under $100 that will bring them all together. Unlike stringing your home full of category five cable, a router will allow you to connect a multitude of different devices to the internet without the hassle of pesky wires. The best wireless router is a must for any modern home or office and will help in convenient distribution of internet across all your devices without any interruptions. However, like many technological devices, choosing the right router is not as easy as picking the first one you see at your local store. In any case, wireless routers come with a multitude of specifications and choosing one that fits your needs can be confusing at the very least. Before you freak out, you’ll be glad to learn that we have done a great job of rounding up the best wireless routers under 100 dollars. Our review seeks to explore the various routers under the 100-dollar category. Beyond the review, we shall also look at some of the factors you need to consider when buying a router. Historically, the more expensive an item is, the better it is. However, that is not always true, and the notion above does not hold water, especially for a router. Most of the expensive routers are usually tailored for large scale use for commercial purposes. In most cases, you’ll find out that the expensive routers typically target large firms or businesses with 50 or more employees, all needing fast internet access. If you’re a home user, looking for a router to connect to just but a few several devices, having an expensive router is more than an overkill; you will realize that you will pay for features and speed that you’ll probably never use. While still at the cost, you may not want to go to the extreme low end of the price. Sure, there are some extremely lowly-priced routers, but there are plenty of bargains found in the $50 to $100 range. Topping on our list of the best wireless routers under 100 dollars is the NETGEAR Nighthawk. 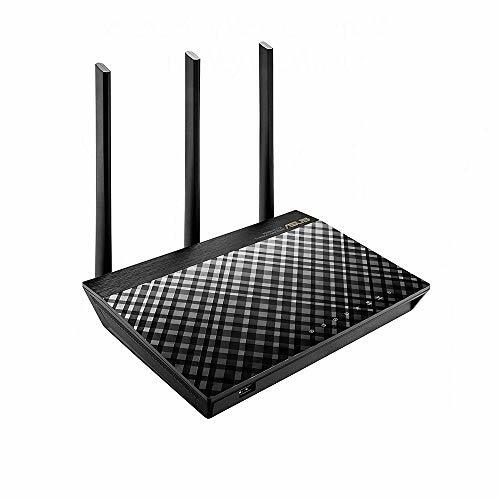 A major highlight of this wireless router is that supports speeds of up to 1750Mbps, which is ideal for gamers and allow simultaneous connections without any lag. Most importantly, the router is smart enough to distinguish between online gaming, streaming, and mobile use, allowing it to adapt accordingly to each situation. 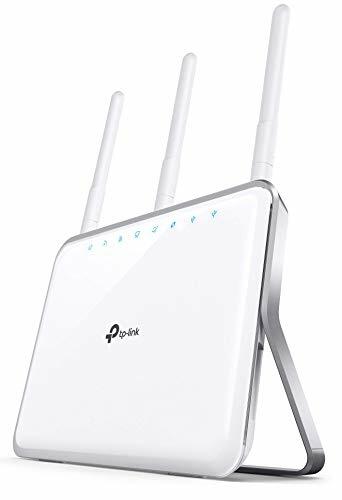 Sporting a 1GHz, Dual Core processor, this wireless router is perfectly suited for providing awesome wireless and wired performance for over 12 Wi-Fi connected devices and 4 LAN Connections. Better yet, the wireless router has an extended range, thanks to the three external antennas alongside a high-performance amplifier that boosts the range. So whether you are in your bedroom, attic or the garage, you don't have to worry about the connection, since the router is strong. Another awesome thing about this router is that it offers one USB 3.0 port, allowing you to quickly store all your share stored media with the entire house. Beyond the convenience of a quick storage solution, the NETGEAR Nighthawk comes with free backup software that will not only safeguard your settings but has a Parental Control feature that will limit access to your kids or certain members of your family. A cool thing about the NETGEAR Nighthawk is the fact that it’s completely hands-free. While it has some buttons for manual operation, I like the Nighthawk App (free) that allows me to set the router and control it. With the app, I can check the router specs, pause the internet access, connect to my computer and perform a myriad of tasks without the need of going to my router. TP-Link is a household name, and the brand has gained a reputation for delivering mid-range, affordable wireless routers with excellent performance. And today, we are going to review one of its wireless routers; TP-Link Archer C9. The Archer C9 is a versatile router, and the versatility is manifested by its ability to deliver 1.9Gbps of 600Mbsp and 1300Mbps for 2.4GHZ and 5GHz simultaneously. Better yet, the powerful performance is accompanied by a beam-forming technology; a technology that allows for strong and super-targeted signal strength. The beam-forming technology is welcome news to the movie lovers, and game enthusiasts on a 4k streaming session. Like the NETGEAR Nighthawk, this best router under $100 sports 1GHz dual-core processor, and this means you enjoy a delectable shared experience without losing speed or suffering from network congestion on your devices. Again, like the Nighthawk we reviewed above, the Archer C9 allows for automated operation. The use of iOS and Android apps will allow simple navigation of the wireless router, and this makes the entire experience more comfortable. The USB port is yet another remarkable feature that will allow you to share your files through printers and other media devices. Beyond sharing, the presence of 4 LAN and 1 WAN provide excellent alternatives for a wired connection as against wireless if the need arises. Finally, users love the portability aspect of this wireless router. Featuring a meager weight of 3lbs and with a modest dimension, the Archer C9 allows you to stay at the top of your game anywhere you need to be in your apartment. ASUS is highly ranked, especially when it comes to customer satisfaction, and the ASUS RT-AC66U lives up to this legendary statement. One thing that has contributed largely to the success of this best wifi router under $100 is the brilliant speed. Yes, the performance of a router is measured by its speed, and with the ASUS RT-AC66U, you get a device that is fitted with a 5th generation 801.11 ac chipset. Better yet, the 5th generation chipset is further bolstered with a concurrent dual-band 2.5GHz/5GHz, which will allow you to operate with super-fast speeds of up to 1.75Gbps. Unlike the models we’ve reviewed above, the ASUS RT-AC66U does not use USB ports for storage, but rather the ASUS AiCloud service. This is a service, similar to iTunes, that will allow you to access, stream, sync and share your favorite music and videos too. Another great thing about ASUS RT-AC66U is the facts it’s versatile enough, allowing you to fit it almost anywhere. You can mount it on your shelf, or hide it conveniently behind your LCD. The ASUS RT-AC66U comes along with a TV stand, alongside three external antennae that you can position accordingly to enhance the signal reception. In addition to the extendable antennae, ASUS RT-AC66U comes with exclusive technologies, such as the AiRadar, and they help in amplifying the transmissions for an expanded and consistent wireless coverage across your home. We love the convenience of the ASUS RT-AC66U, thanks to a simple and intuitive dashboard that allow quick and simple setup in just three steps. Security has always been a concern when using the internet, but it should be no more. Besides monitoring real-time network traffic of all the connected devices, ASUS RT-AC66U allow easy management of security settings. The Network Map, for instance, allows you to visualize the security level of your device. 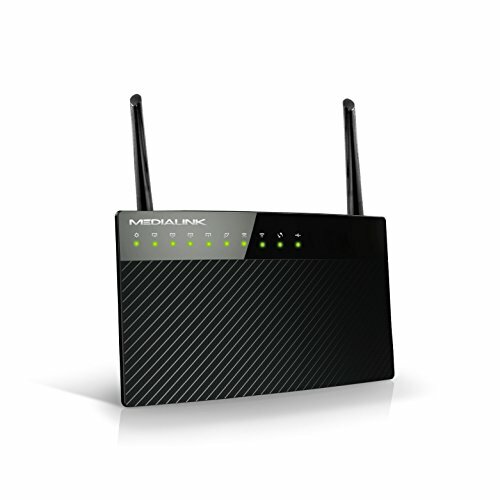 Medialink AC1200 is yet another great wireless router in the under 100 range. It’s the best-selling router by Medialink, and it's no surprise that it's listed among the best routers under $100 by many websites. The Medialink AC1200 is a Gigabit router dual-band router. Featuring impressive combined wireless speeds (300Mbps~ 2.4GHz +867Mbps ~ 5Ghz) of up to 1200Mbps, the Medialink AC1200 can never disappoint you. This is particularly true for the gaming enthusiasts as well as the movie aficionados, streaming on 4k. Like most of the wireless routers on our list, you do not need to be tech savvy to set the Medialink AC1200. Setting up and using this wireless router as easy as it can get. The beamforming technology, alongside the two external antennas, is yet another awesome feature that allows focusing the signal directly to your devices for seamless and functional use. And if you are looking to extend your range, you’ll be pleased to know there is a universal extender mode that will allow you to use the router in any part of your room without compromising on the speed or performance of your router. Finally, with internet security being a huge concern, Medialink has fitted the Medialink AC1200 with a powerful in-built firewall that will guarantee your safety as well as secure you from accessing malicious websites. If you are like me who likes discreet gadgets, the LINKSYS is an ideal choice. Sporting a slim and elegant design, alongside an impressive allure, the LINKSYS is versatile and can be installed in any type of interior setting. Its popularity, however, goes beyond the pretty body but extends to the plethora of features it has to offer and the power under the tiny shell. For starters, the LINKSYS supports dual wireless bands and can reach speeds of up to 300Mbps for the 2.4GHz network and 867Mbps for the 5GHz network. Better yet, LINKSYS features 4 10/100/1000 Gigabit Ethernet ports for better streaming experience and a single USB 3.0 for easy file transfer. What’s more? 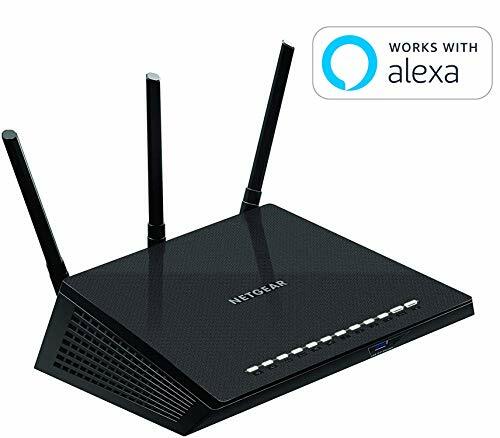 This wireless router understands the difference between streaming movies n Netflix, playing online games or just browsing your favorite online store. Though the router is a short-range type of device, it comes with adjustable antennas that can be repositioned accordingly. Finally, LINKSYS support beamforming, and this will allow for stronger and faster connections. Security-wise, the LINKSYS keeps your network secure thanks to an SPI firewall and WPA/WPA2 encryption. As we mentioned earlier, choosing the best wireless router is not as easy as picking the first router you come across on your store. That said, we have already provided you with a list of the best wireless routers under 100 dollars. However, despite our efforts to narrow the selection to five products, you will soon realize that choosing the ideal product is still a herculean task. While all the products are by far recommendable, choosing the ideal or rather the router that will address your needs is still a challenge. And for this reason, I've included a shopping guide to help you choose a router that is best for you. Use our shopping guide as the reference guide to checklist everything before making a purchase. Let’s first look at the basics that are a must for any wireless router, regardless of its price, orientation or purpose. Wireless routers can do without ports on a wireless home network. But let’s face reality for a second; you home has wired devices and therefore, having a router with ports is of the essence. Ports will allow connecting and sharing of data with different networks at the same time. The USB port, for instance, plays a crucial role in connecting your electronic devices to the internet. With regards to ports, we advise that you check the number of ports according to your needs and requirements. Ideally, your router should have at least 4 Ethernet ports; 1 Wide Area Network (WAN) and 4 Local Area Network (LAN for connecting to the modem or computer. Dual bands and tri-bands are more effective as they allow beaming signals using two and three frequencies respectively. With a dual-band, you get a dedicated Wi-Fi network or gaming and video and separate networks to avoid interference. While a single band may work fine, its greatest drawback is network congestion. A single band operates under the 802.11n wireless standards with the 2.4GHz frequency, and this falls with the older technology. Though it will offer extensive network coverage and can work with older technologies, the dual band is far better as it offers you both 2.4GHz and 5GHz frequency, consequently the number of options to work with. A new Wi-Fi standard was introduced in 2014, and all the modern devices work on this platform. Therefore, it’s prudent you ensure your router can support the new Wi-Fi standard. Now that we've seen the basic components of a wireless router let's look at the features that matter most when it comes to selecting a wireless router. A majority of the modern routers support high speed, but it’s vital you pay attention to the specs. Your router needs to achieve reasonable speeds and should support multi-use without lagging. Remember that carrying out multiple functions such as streaming videos, playing games and more requires a lot of data transmission, meaning you will require a router with stronger processing power to get things done efficiently. For starters, check if your router has a dual or quad-core processor as the higher the processor rating the more data it can handle efficiently. While an 802.11 category router will provide you with satisfactory speed, the 802.11c should be your best pick as it should deliver up to 1300 + Mbps of 5GHz. The 802.11c is the newest standard for speedy internet connectivity and comes with extensive channel coverage. As we had mentioned earlier, the dual-band aspect is a major consideration to put at the back of your mind when choosing an ideal router. Ideally, we recommend choosing a router with dual-band feature, and this means your router should support both the 2.4GHz and the 5 GHz bands. 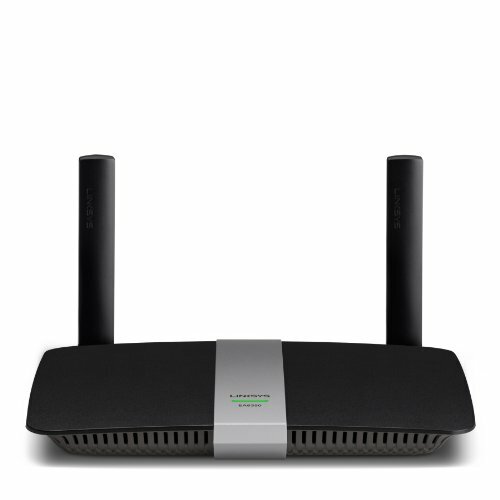 The dual-band routers provide better performance, not to mention these routers are not plagued by interference from other electronic devices and are usually less crowded. A typical dual-band router has two or more adjustable antennas and can sustain both of the bands simultaneously without a drop in signal or speed. However, if you are looking for something more stronger .i.e. router that can support heavy traffic through online gaming, video &audio streaming, you can go for the routers that support tri-band setting-one 2.5GHz band and two 5GHz bands. Typically, the strength of your wireless router should equal that of the Wi-Fi signal in your entire household. Still, unless you are looking to use a Wi-Fi signal extender, you should look for a wireless router that can at least cover a 2,000 sq. Ft. house. With cybercrimes on the rise, having a router that will secure your network should be a big priority. Here, there are various security features to look out for, but the base features for any secure wireless router should be a solid firewall, WPA/WPA2 wireless encryption, and a Guest Access possibility. The above features would act as a deterrent for anyone looking to hack into your network. Before making any purchase, it’s best that you consider your needs. For starters, you can assess the number of devices that you will be connecting, and this includes phones, tablets, gaming consoles, Pc’s, Smart TVs and more. Attached Storage using an Integrated USB. Q: Can I make or receive a phone call with a Wi-Fi router? A: No. You can use Mobile Wifi only for data usage. But you can use Skype and other VoIP as an alternative! Q: How do wireless routers compare to DSL and Cable Modem? A: Unlike DSL or Cable modems, wireless router service is not dependent on telephone or cable TV infrastructure. For a start, wireless routers can reach areas where DSL and cable modems are unwilling and unable to reach. Q: Is the wireless router service the same as cellular or mobile hotspot? A: No. Wireless router uses a fixed-point technology, which means it relies on the transmission of data between tow fixed or stationary points. For this reason, wireless routers can support higher data rates, and this translates to faster connections and downloads for you. Q: How do wireless routers compare to satellite? A: Often, routers are confused with satellite, and this is because they’re both forms of wireless communication. The difference, however, is wireless routers use terrestrial microwave system that uses short-range wireless links no more than 14-mile longs. The latency on these short-range links is comparable to cable modems, and this allows for high performance. On the other hand, a satellite has a large propagation delay due to the extensive distance to the geosynchronous satellite. The long-range latency of the satellite is a huge deterrent to performance, regardless of the bandwidth speed. Q: How does the weather affect Phoenix Internet's Service? A: The effects of weather on the radio signal will vary on the frequency used and the distance traveled by the signal. However, with a quality wireless router, signal degradation due to snow, rain, fog, storm or wind is negligible. Q: Where should I place my range extender? A: Ideally, the Wi-Fi extender should be placed half-way between your wireless router and your computer. However, it’s crucial that the extender is within the wireless range of or router. Q: Can I use a wireless router inside my house? A: Yes. Any wireless router with an Ethernet WAN port can be used to distribute the internet service throughout your premises. Q: Are there any health concerns I should be worried about? A: No, wireless routers do not emit any radiation or power, and you should, therefore, not get worried about the routers. In any case, your mobile phone emits more power than wireless routers. Q: Will a wireless router allows me to use my laptop anywhere on my property? A: Yes, it can, but it will depend on the range of your router. For instance, routers with a 50 feet range will allow you to use your laptop anywhere between the 50-feet range. While at it’s crucial to position your wireless router in a central location in your premise to maximize signal reception and connection to devices throughout your home. It’s quite a shame that many household owners have the impression that the best wifi router under $100 are cheap and low quality. That is not the case, and while the expensive routers have more advanced features, they are more suitable for a large organization with a higher number of staff. However, if you are an internet-savvy family guy looking to serve the internet needs of your small to moderate household, choosing any of the above-listed best router under $100 should be the ideal option.